Today is the last day of FREE SHIPPING!!!! It's a great time to order a gift for a friend, your mother, a teacher, have a surprise sent to someone you love...no minimum amount, everything ships FREE - yippeee! Order as many times as you want - but it all ends tonight so don't delay! This is very important information for you and ME, so please read. Have you not received the gift with your order that you were expecting from me? Have you not received a thank you card in the mail for your order? Would you like to receive future catalogs in the mail from me? If not, this means your account is set to NO CONTACT, which simply means I have no way to contact you since I don't know who you are. 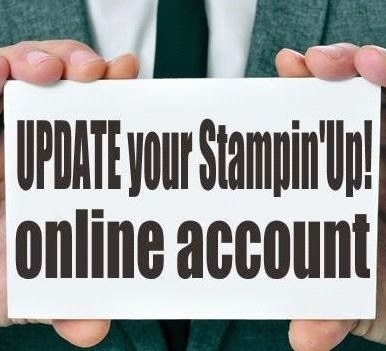 To change this and update your account, there are the 4 simple steps to change your NO CONTACT status. 1. My account (top right - above continue shopping) . 2. Click on top tool bar, the MY DEMONSTRATOR tab. 3. 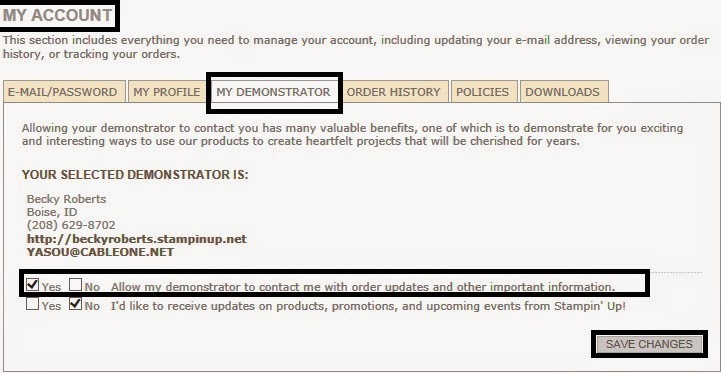 Scroll down and check YES box "Allow my Demonstrator to contact me with order updates and other important information". See photo below -this is what the screen looks like that you will need to update (click photo to enlarge your viewing).